Pictured above: Island Dolphin Care, 2018 Animal Welfare and Animal-Assisted Program grant recipient. To support the Kennel program that aims to maintain unification of homeless families and individivuals with their pets. To suport the Endless Strides program that uses equines to enhance the recreational/therapeutic outcomes of individuals ages five to 55 with varying disabilities. 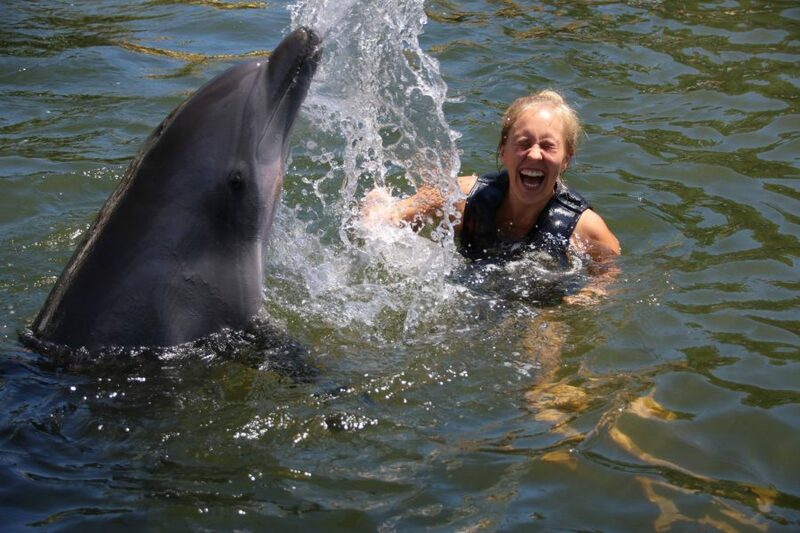 To support the scholarship program that allows individuals with disabilities and other ailments to participate in unique therapeutic, motivational and educational dolphin assisted therapy programs. To support the rescue and fosterings of cats and kittens for adoption. To support the Trapper Stipend program that uses a network of to secure cats and provide them with the healthcare and resources they need to released safely back into the community. To support the Second Chance shelter dog training program that helps inmates develop skills for employment as dog trainers upon release. To support the cat transportation program that places sick and injured cats in homes around the country. To support the Ambassador Animal Program that works to rehabilitate and release injured wildlife back into the wild. To provide support the rescue rehabilitation and adoption of abused, neglected and abandoned horses and other large livestock. To support the Veterinary Assistance Program at Felix Varela High School to help create the first school-based hub for emotional support dog services, managed by students to benefit students and the surrounding community. The Pet Project for Pets, Inc.
To support the Keeping Pets with Their People program that provides food, vaccines, health care, and foster care to cat and dogs in an effort to keep them in their homes. To support the Zoo to You program and Zoo field trips that support students with special needs and use animals to educate them on conservation.